Our mission is to educate, support, and empower individuals impacted by cancer. From patients, to their caregivers, to the medical providers and advocates who work tirelessly to support cancer survivorship, Bag It works for you. While we provide Bag It Bags at a cost of $20 + shipping, our cost to produce each bag is $42. Bag It relies on our fundraising efforts to ensure we are able to get Bag It resources into the hands of every cancer patient, including those who may not have free access to the Bag It bags through their medical provider or who cannot afford to purchase an individual bag. Bag It is a 501(c)(3) tax exempt organization. A $41.30 donation (includes processing fees), gifts a Bag It bag and enters you into a drawing for a 2-night stay at Miraval Arizona. 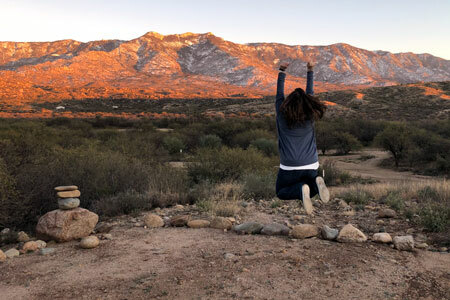 Your journey for life and balance starts at Miraval. 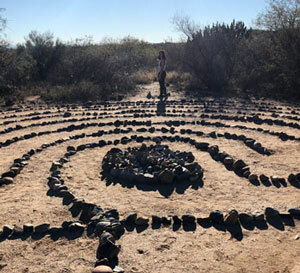 Situated in the warm shade of the Santa Catalina Mountains in northern Tucson, Arizona on 400 acres of idyllic land, Miraval Arizona is an inclusive destination resort and spa, dedicated to inspiring life in balance. Since 1995 the property has been consistently ranked as one of the world’s top destination spas by the nation’s top travel and lifestyle publications including Travel + Leisure, Conde Nast Traveler and USA Today. 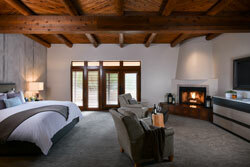 Full access to Miraval’s extensive resort amenities including use of the Life in Balance Spa; Body Mindfulness fitness center; tennis courts and three swimming pools. Unlimited participation in a vast array of self-discovery and growth activities, including fitness and yoga classes; lectures by Miraval Specialists; and much more. PLUS: Guest receives a $150 resort credit per night of stay to apply as they choose toward selected spa services and fee-based activities. Round trip transportation to and from the Tucson International Airport (if applicable). Must be redeemed by April 2020. It is recommended that you book at least 45 days in advance to ensure availability. 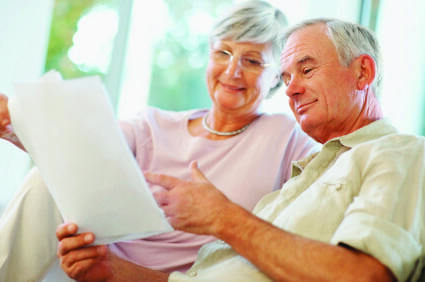 You can leave a lasting legacy of support for Bag It through planned giving. By including Bag It in your charitable trust, estate plan, last will and testament, life insurance, or retirement plan, your gift will help us continue to assist cancer patients and their families. Please contact our Executive Director, Mindy Griffith at (520) 575-9602 or mindy@bagitcancer.org for more information. #StartWithaSmile, AmazonSmile is a simple and automatic way for you to support Bag It every time you shop. When you shop at smile.amazon.com, Amazon will donate a portion of the purchase price to Bag It. To get started click here, bookmark and support us every time you shop. Remember, only purchases at smile.amazon.com (not www.amazon.com or the mobile app) support Bag It. Fry’s Community Rewards – Did you know you can support Bag It just by shopping at Fry’s? It’s easy when you enroll in Fry’s Community Rewards! To get started click here, sign up with your V.I.P Card, and select Bag It NPO #98637. Once you’re enrolled, you’ll earn rewards for Bag It every time you shop and use your V.I.P Card! If you work for a company, organization, or the local or federal government, check with your employer to see if you have the opportunity to participate in a workplace giving program. You may be able to make a recurring tax-deductible donation for Bag It through a payroll deduction. If your company currently does not participate in a giving campaign, suggest one so that you and your colleagues may show your support for Bag It. Are you interested in joining the organizations who have already committed their support for Bag It resources and programming? Contact our Executive Director, Mindy Griffith at (520) 575-9602 or mindy@bagitcancer.org for more information.